Fulfilling farm, ranch and industry needs in the high Plains for 100 years and counting. Equity Exchange is a member-owned cooperative that was founded in 1919 in Perryton, TX. Since that time, the organization has grown to include 25 grain facilities, 13 retail agronomy centers, 18 24-hour fuel stations, geographically situated 24/7 liquid fertilizer blend plants and a 30,000 square foot distribution center to provide specific products and services for both customers and locations across the region. From its early beginnings along the new rail line in the northern Texas Panhandle, Equity has grown to service grain and retail locations in Texas Oklahoma and Kansas. Embedded within Equity’s growth has been the introduction of new technologies. Equity has been a leader in cooperative technological efficiencies which provides real-time information to our customers to, in turn, improve their efficiencies and profitability. Field by field accounting, satellite imagery, and plant tissue sampling are but a few of the technological resources available to Equity customers. 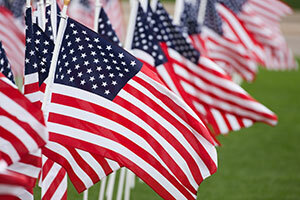 Equity Exchange will be closed on Memorial Day to honor the contributions of our nation's veterans. We are always looking for talented and resourceful people. We have 25 grain facilities, 13 retail agronomy centers, and 18 24-hour fuel stations. Click to learn more and see all our current openings. If you are interested in a career with advancement possibilities at Equity Exchange, please use the following application to apply.